BCA Computer Science is usually a 3-year undergraduate program, the least eligibility criteria are 10+2 from a reputed college or its equivalent examination. The program involves hardware and software aspects of both computer applications and computer design. The program deals with the construction, design, operation, as well as maintenance of computing software as well as hardware. Admission to BCA Computer Science relies upon the aspirant’s performance in the relevant entrance test and a counselling round. An average fee for the BCA Computer Science program in India ranges between INR 10,000 to 8 Lacs, for the duration of three years. Such applicants are hired as Technology Engineer, Oracle PL/SQL Developer, Programmers, PHP Developer, Technical Consultant, Software Developer, Quality Analyst, IT Specialists, Graphic Designer, etc. 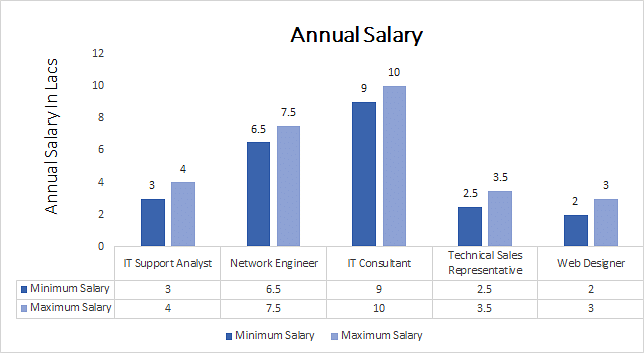 The average salary of Computer Application can be in the range of INR 2 to 12 Lacs per annum. Top Recruiting Companies HCL, Adobe, TCS, Accenture, Infosys, IBM, Reliance, NIIT, Dell, Tech Mahindra, Wipro, Cognizant Etc. Top Job Areas Academic Institutions, Software Developing Companies, Web Designing Companies, Systems Management Companies, Banking Sector, Insurance Companies, Accounting Dept., Stock Markets, E-Commerce & Computer Application Sector etc. Top Job Positions Technology Engineer, Oracle PL/SQL Developer, Programmers, PHP Developer, Technical Consultant, Software Developer, Quality Analyst, IT Specialists, Graphic Designer, etc. BCA Computer Science: What is it all about? BCA Computer Science deals with the theory and methods of processing information in digital computers, the design of computer hardware and software, and the applications of computers. It is also known Computing Science. BCA Computer Science is an undergraduate Information Technology program. Computer Applications is computer software designed to help the people to perform singular or multiple related specific tasks. BCA Computer Science program gives sound pragmatic abilities tending to issues which emerge from PC frameworks and applications. Inferable from the wide prevalence among the hopefuls different Computer Science Schools have come up offering Computer Science graduate projects at standard with B.C.A. The course can likewise be sought after through Distance Learning Programs by different Institutions. Candidates must possess decent interpersonal as well as communication skills, excellent browsing techniques as well as various its related things. Mentioned below are some colleges in India that offer the course. Given below is the minimum requirement of eligibility which applicants are interested in pursuing the program. Successful completion of 10+2 in any discipline from a reputed board of education. At least 45% at 10+2 level. Some colleges incline toward aspirants from Science stream or the individuals who have studied Mathematics as well as Computer Science at 10+2 level. For admission to BCA Computer Science program, an aspirant must fulfil the common eligibility criteria as mentioned above. Admission into regular BCA program is usually done by a common entrance exam directed by respective college. Application Procedure for BCA Computer Science entrance exam basically starts from May and June. Aspirants have to apply to respective colleges in both offline and online modes. A Semester- wise breakup of the program’s syllabus is mentioned below. There is bounteous alternatives available profession insightful for competitors with a BCA degree. The first and evident decision is a profession in IT industry. Be that as it may, a BCA Computer Science degree holder can work in a few segments, some of which incorporate Education, Financial Institutes, Multimedia, and Government Departments, Surveillance and Security and so forth. Applicants can likewise choose an option of higher study like MCA degree in same or related field. Another great alternative is Master's Degree in Computer Management (MCM) or Master's Degree in Information Management (MIM). For applicants slanted more towards the administrative parts of an association, MBA in Information Technology from a presumed B-School in India is a decent choice.